Kallum is now in his tenth year with the Rhinos and the England international is regarded as one of the best players in World Rugby. In 2018 he was named as the successor to Danny McGuire as captain of the club. After 16 appearances in the 2018 season, which included captaining the team in the World Club Challenge against Melbourne at the AAMI stadium, an knee injury ruled the centre out for the remainder of the season. He joined the Rhinos in 2007, having impressed during a trial period with the club. In his first season with the Junior Academy he scored 13 tries in 20 appearances as they headed for Grand Final glory, when he scored the opening try in the Rhinos 26-16 win over St Helens. That year he also earned himself a place in the England U17 squad to play the Australian Institute of Sport. He began 2008 in spectacular form for the Academy, scoring 11 tries in the opening five games including a hat trick in the opening game for the Reserve Academy against Hull KR and four tries a week later against Castleford. This led to him being promoted to the Rhinos first team squad in March 2008, when he was still only 16 years of age. His first team debut came against Celtic Crusaders in the Challenge Cup and he helped the team to victory with a try. He was then named in the side to take on Bradford in the Millennium Magic and once again showed his attacking flair with the first try of the game. In 2009, he was a regular in the first team squad making 14 appearances during the campaign and scoring four tries including a spectacular length of the field interception try at Headingley Carnegie to beat Huddersfield Giants. The 2010 season was frustrating for the former Latchford Albion player as he was side-lined for the majority of the campaign after he was forced to have a knee reconstruction after only the seventh game of the season. It was a bitter blow for Kallum, after making a great start to the season, where he had proved a valuable player with his ability to play at centre, full back and wing, where he started the Carnegie World Club Challenge game against Melbourne Storm. He fought back from this set back to make 17 appearances in 2011, which included a place in the Challenge Cup Final and the following year he was handed the number 3 shirt ahead of the 2012 season, taking over from Keith Senior. In 2012 Kallum finally got his hands on silverware as part of both the World Club and Grand Final winning sides. He was in outstanding form in 2013 as the club’s top try scorer with 20 and this included a run of scoring in eight consecutive games. He added the Challenge Cup to his list of honours in 2014, before an outstanding 2015 campaign that saw him win Rhinos Player of the Season after playing a key role in the treble winning season. In 2016 he played in every minute of every game for the Rhinos and finished the season as the club’s top ball carrier (398), making the most metres for a back (2,800) and was the Rhinos top try scorer with 18. The following year he once again proved to play a key role in the team’s success as was one of the Rhinos’ most consistent players and won his third Super League winners ring as part of the team who triumphed over Castleford in the Grand Final. Kallum made his debut for England U17 against the Australian Institute of Sport as a substitute in the first test at Warrington’s Halliwell Jones Stadium. England were unlucky losers that night, 28-26, having led for the majority of the game however a week later Kallum, helped the young Lions restore pride with a 38-22 win at Wakefield’s Belle Vue. He made his England debut against Wales and was part of the squad who won the Autumn International series during which he was one of the stand-out players in the side and was named Man of the Match after scoring a hat trick in the win against France. He has been a regular for the England squad since 2012, featuring in five of their 2013 Rugby League World Cup games and was selected for the squad for the Four Nations in 2014 and 2016. In 2017 he was selected, alongside team mate Ryan Hall, for the England World Cup squad in Australia and was named Man of the Match in their group game against Lebanon. He came agonisingly close to helping England to World Cup glory against Australia, where they just missed out 6-0 against the host nation. 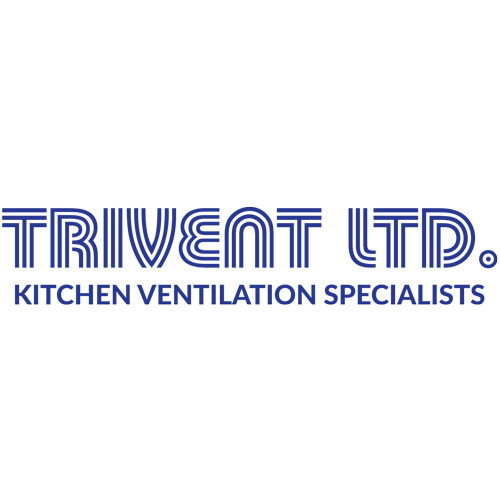 Trivent is a long established family run firm, which was founded in 1980. Our specialist service includes the design, manufacture and installation of bespoke kitchen ventilation systems, which can be designed to suit any kitchen layout. We employ over 30 members of staff and hold an established reputation for quality and reliability within the industry.